The Care Trust DAC (The Care Trust), College House, 71/73 Rock Road, Blackrock, County Dublin. 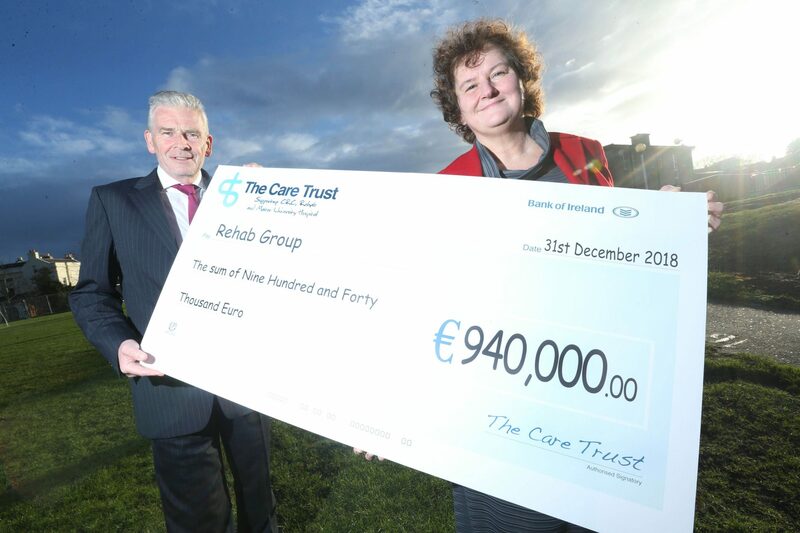 The Care Trust operates Draws for the benefit of The Care Trust’s Beneficiaries: the Central Remedial Clinic, the Mater Misericordiae University Hospital and Rehab and to provide opportunities for Contributors to win prizes. Contributors “purchase” a Draw ticket when The Care Trust has received and processed funds to the Contributor’s Care Trust Account. The Care Trust reserves the right to alter the format of the Draw, to adjust the amount required to purchase a Draw ticket and to alter the prize structure within the terms of the relevant lottery legislation. The Care Trust Board Members, employees, Independent Fundraising Representatives and Contributor Agents are prohibited from participation in the Draw. Contributor Agents act on behalf of the Contributor, and are not employees of The Care Trust. The Care Trust does not accept any responsibility or liability to Contributors who deal with any defaulting Contributor Agents, or who suffer loss through the default, neglect or error of Contributor Agents. Prize-winners in the Draw may be requested to participate in a photo-shoot for on-going promotion of the Draw. The Care Trust reserves the right to change the day on which the Draw takes place. A schedule of Draw dates is available on our website: www.thecaretrust.ie and on request at the above address. It is not necessary to claim and all prize-winners will be notified by post. The Care Trust will take other appropriate and reasonable steps to contact prize-winners where postal contact has failed. Any prizes not claimed within 12 months of the relevant Draw will be deemed as forfeited. The car-prize is non-transferrable. No other models or cash alternative are permitted. Contributors may wish to upgrade at their own expense. The top prize offered is the specified prize-car only. Tax, insurance, fuel, tolls, parking and traffic offences will be the responsibility of the registered owner. The prize-car must be registered in the prize-winner’s name before delivery of the prize-car can occur. The Care Trust decision in relation to the selection of the prize-winner is final and no correspondence will be entered into. In the event of any dispute regarding the Rules and/or Procedures, the conduct of the Draw or Draw results, the decision of The Care Trust will be final. Draw entrants must be 18 years old and resident in the Republic of Ireland in order to qualify as a prize-winner. The Care Trust reserves the right to request written proof of age of any prize-winner. Where a prize-winner is deceased the prize will be transferred to the estate of the deceased Contributor. The prize-winner is the Contributor named in The Care Trust Contributor account and is not necessarily the payer of the bank mandate. The names and addresses of prize-winners will be printed in a monthly result sheet, which is distributed to Contributors, is available on The Care Trust website and may be advertised in the national and/or local press. The Care Trust or its Beneficiaries, shall not be liable for any loss, damage or consequential damage of any nature whether in contract, tort including negligence or otherwise caused by acceptance of these Rules and Procedures or in connection with the Draw. By entering The Care Trust Draws, all Contributors will be deemed as having accepted and being bound by these Rules and Procedures and having consented to their personal data being transferred to the Data Controller (The Care Trust) for the purposes of the administration and marketing of the Draws. All Rules and Procedures form part of the Draw entry. Car prize-winners are notified initially by phone and shortly afterwards a confirmation letter is issued. Winners are requested to furnish a copy of a recent utility bill to verify their name and address and upon receipt The Care Trust will instruct our prize-car suppliers to contact the winner directly regarding delivery. The Care Trust operates periodic prize Draws under licence granted by The District Court pursuant to Part IV of the Gaming and Lotteries Act 1956 (as amended). The Care Trust operates three Draws every month with a Ford Fiesta car as the top prize in each Draw and three €200 cash prizes and four €100 cash prizes in each Draw. Tickets are issued for each 1-cent of contribution and each ticket is allocated a unique Draw number by the Draw process. Winning tickets are randomly selected by computer. At €15.00 a month, Contributors are entered into all Draws, at €5.00 per Draw or 500 1-cent tickets in each Draw. Contributions are allocated to Draws in the following manner: tickets up to €5.00 are allocated in the first Draw before tickets are issued into the second Draw, again up to a further €5, with tickets then issued for the final Draw for the final €5. For example a Contributor paying €13.per month will have €5 worth of tickets allocated to Draw 1 and €5 allocated to Draw 2, with €3 allocated to Draw 3. A Contributor paying €20 a month will be issued €5.00 in each Draw in the starting month and a further €5.00 in the first draw of the same month, with this pattern repeated each month, resulting in an entitlement of €10 for the first draw, €5 for the second, and €5 for the third. A regular annual contribution of €180 is allocated to 36 Draws x €5 in each Draw. An annual contribution greater than €180 is allocated to the first 36 Draws at €5 per Draw, before commencing a wrap-around to the first Draw for further allocations of €5 per Draw. For example, a single annual contribution of €200 is allocated 36 Draws x €5 and then back to the first four Draws with €5 x 4 Draws. Contributors are entered on The Care Trust’s Contributor database and issued with a unique Contributor ID, in respect of his/her enrolment. This ID should be quoted in all correspondence with The Care Trust. A Contributor with more than one enrolment will have a Contributor ID for each enrolment. The Care Trust maintains an account for each Contributor ID. This Contributor account details contributions received and amounts processed by The Care Trust to purchase Draw tickets. A result sheet giving names and addresses of prize-winners will be published, but responsibility cannot be accepted for errors, misprints or other circumstances, which fail to give correct information. Results will also be published on The Care Trust’s website and/or may be printed in the national/local press. Contributors personal data, held by The Care Trust (such as name, address, Contributor ID, bank account details etc.) will only be used for the purposes of administering and marketing the Draws. Contributors can access their personal data via The Care Trust e-portal, by login on the website to “My Care Trust Account” using their surname and unique Contributor ID. Contributors can also request a copy of their account by calling the office or by emailing thecaretrust@give.ie. Contributors receive a thank you letter upon sign up and a letter of acknowledgment of cancellation when ceasing. Each year Contributors receive an update on funds raised by The Care Trust and issued to Beneficiaries. Draw receipts are recognised as income when matched with the relevant Contributor. Amounts due from income to the Beneficiaries as per the Gaming and Lotteries Act 1956 (as amended) are transferred monthly to the Beneficiaries and are reported in the monthly management accounts to The Care Trust Board. The Care Trust conforms to SEPA (Single European Payments Area) scheme Rules for the operation and administration of Direct Debits. Organisations in Ireland and adheres to the Guidelines for Charitable Organisations on Fundraising from the Public. A copy of these rules is available on a request. Contributors to prize draws should note that The Care Trust will, for marketing purposes, take photographs of the prize winners, on occasion. The Care Trust, together with a number of organisations who are in partnership with The Care Trust, reserves the right to publish such photographs on its website, in the media, and in other social media outlets. The winning contributors by taking part in the prize draw may be photographed and details including their name may be taken. 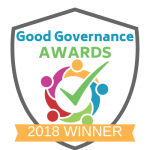 The Care Trust and the organisations in partnership with The Care Trust, intend to publish some winning contributors names, and if available, photographs. By participating in the prize draw, each contributor explicitly agrees to publication of their name and, if available, a photograph of their participation in the event. Please note that your personal information may be stored by The Care Trust for use by it and selected third parties and the information will be used in compliance with the Data Protection requirements and for future marketing purposes.